25.06.2013. 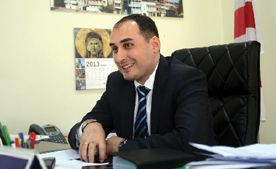 Dimitry Kumsishvili, First Deputy Minister of the Ministry of Economy and Sustainable Development of Georgia shares the new government's vision and plans for development of the country's tourism sector. 23.06.2013. Since June 2013 all Hvino sites are offering Pop-Up Banners as the new premium-class advertising platform. This is the most visible and effective, yet non-obstructive advertising method. Pop-Up Banners have no limitation of format and size. They can also carry all types of modern animation including video and sound. As Pop-Up Banners doe not have fixed size, the placement rates are calculated individually for each client. Special Introductory Offer: For all campaigns starting from 2 months we offer one month of free advertising! If interested, simply email us at ads[at]artenom-cfe.com. 19.06.2013. First, where is Racha? Northwest of Georgia (no, not Atlanta). Not far from Imeriti. Gorgeous. Rich in terroir; iron, carbon, granite, slate, marcasite, quartz, limestone of all colors that is crawling with ancient crustaceans. The place is a raw nerve of terroir. Yet the mountainous, pulse-stoppingly beautiful highland-like region is gravely under-utilized and way too poor. This, Georgia's smallest wine region with no bottle-ready wine maker currently on the market--is a land in need of champion. No foreign star winemaker such as Raul Perez/Telmo Rodriguez is on the horizon. Given my prejudice about wine, this is a good thing. But some of Georgia's best, committed to making wine close to nature--like Imertian Ramaz Nikoladze, or Kartlians Niki Antadze and Iago Bitarishvili or Khaketian Gela Patalishvili--could help some of the home talent wanting to come to local and foreign tables. But right now these local superstars are also struggling to make a dream happen-- as all were born in Soviet times when there no dreams were allowed. 12.06.2013 (Hvino Tour News) Eurasian Airways is a new Georgian airline that plans to use Tbilisi as an intermediate hub for passenger and cargo flights between Europe, the Middle East and Asia, reports Swiss aviation resource ch-aviation. Eurasian Airways will also aim to "incorporate the rapidly expanding markets in the Caspian, Black Sea and Caucasus region markets." At this point in time, however, no exact network or fleet plans have been divulged. Eurasian Airways has a registered domain name eurasianairways.com (domain owner's name is Nikoloz Medzmariashvili), bu the site is currently unreachable. HTN could not find additional information. 07.06.2013 (Hvino Tour News) Flow of visitors increased by 50% compared to previous months. After a failed winter season the local hoteliers talk about increased number of visitors. According to the administration of Tetnuldi hotel, compared with the previous months, the number of tourists has increased by 50%. Summer season is already open and 40% of rooms are booked. Japanese, French and German tourists prevail over locals in the resort. The hotel management says that prices are similar to last year: a price of a single rooms is 140GEL, while a double room costs 180 GEL. This price includes two meals a day as well. the previous months the flow of visitors increased by 50%. As for the prices, Mestia's management reduced prices to attract clients, and a double room now costs 100 GEL instead of 120 GEL. 07.06.2013 (Hvino Tour News) Giorgi Sigua was appointed as head of the National Tourism Administration of Georgia. 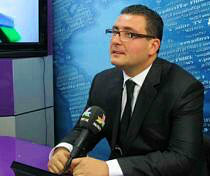 He was presented by First Deputy Minister of Economy Dimitri Kumsishvili. Previously Mr. Sigua was member of Georgian parliament, where he was deputy chairman of Committee on regional policy. 06.06.2013. During the first four months of 2013, the number of international travellers in the country amounted to 1,291,593, which is 32% more in comparison with the same period of 2012. The number was 978,521 in the same period of the previous year. Visitors from neighbouring countries occupy the largest share of these increased figures. Georgia plans to host over 5 million visitors by the end of 2013. The number of incoming international travellers from neighbouring countries amounted to 1,159,009 which is 285,486 higher than in the first four months of last year (a 33% increase). The number of Russian travellers also increased this year. Georgia hosted 57,395 Russian travellers more this year, 77% more than in the same period of last year. Travellers from Ukraine, Egypt, Iraq and Iran also increased. 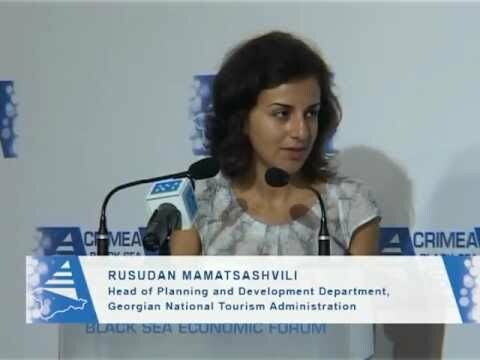 “Political stability, transportation, impressions from previous visits and marketing activities in which our administration is engaged are the main factors causing this increased number of international visitors,” according to Rusudan Mamatsashvili, Head of the Planning and Development Department at the Georgian National Tourism Administration (GNTA). 03.06.2013 (HTN - Hvino Tour News). On May 30 FlyGeorgia inaugurated Tbilisi – Baghdad service, with twice weekly operation on board Airbus A319 aircraft. The service will start from late May. Ukrainian Air Onix from June 3th opens service between Tbilisi and Simferopol (Crimea, Ukraine). It is also twice weekly operation, on board Boeing-737 aircraft.